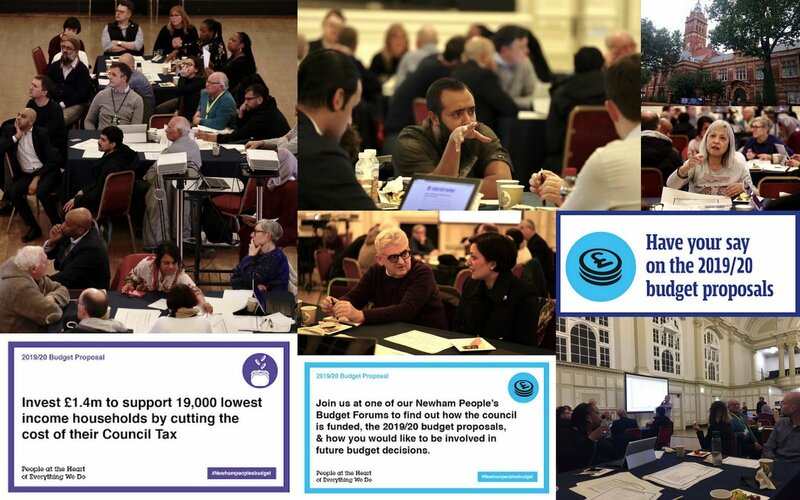 Picture collage from this evenings consultation forum at Newham Town Hall. Which I thought went very well. I chaired the meeting due to last minute illness. The Mayor, Cabinet lead for Finance and officers did excellent presentations. Residents gave lots of feedback (and push back) but there was broad support for keeping "eat for free" for primary school kids, increasing youth services, paying London Living wage for all carers, increasing Council tax while at the same time reducing it by nearly 50% for our poorest residents. All in all a good day. Many thanks to all the borough staff involved in these forums (and for the photos). A really professional event.